BMW goes hunting Range Rover with its grandest SUV yet, the X7. We've driven it. We can't actually tell you a great deal here. First of all, the BMW X7s we got to drive were very early pre-production prototypes, so they were heavily camouflaged on the outside and then, within, BMW had carefully affixed lots of black cloth to the surfaces, leaving pretty much only the seats, the instrument cluster and the infotainment screen on display. Some of the centre stack was on show too but the cars were all only '80 per cent ready', so there's a lot of fine-tuning still to be carried out between now and the start of 2019, when showroom-standard X7s will emerge. However, we can offer the following observations: despite what you might think, the X7 is nothing like as hulking and gargantuan up close and personal as you imagine it to be, actually carrying its 5.1-metre, 2.3-tonne frame rather well; the new 12.3-inch, iDrive 7 infotainment looks to be a beneficial development of what is already the best in-car control system on the market, bar none; the fresh design of angular digital dials in the cluster makes them particularly appealing and crisp in their appearance; and some of the switchgear has a knurled-metal effect, while the climate control system in the front is of a new design, too. BMW will also offer items like a Swarovski crystal gear lever to improve the ambience inside the X7 even further. We also know that the cabin is huge, with limo-like legroom in row two of the seats and enough space in the third row for a couple of six-foot adults to sit comfortably for a length of time. The boot behind the sixth and seventh chairs isn't vast, but it is useable, and we don't know as yet how big the cargo area would be if you folded the rear-most two seats down - nevertheless, it's likely to be colossal. All X7s will come with seven seats as standard, but there will be the option to have a 2-2-2 configuration that's supposed to up the opulence quotient even more, with a pair of captain's chairs in the centre row. Opt for this layout and the two plusher seats in the middle of the BMW are actually borrowed from the front of the 8 Series (with some very minor tweaks to the seat bases). Up top, the gigantic expanse of ceiling is split into two: the front five passengers sit below a huge panoramic roof, while there's a smaller glass section for the third-row occupants, to ensure light floods all of the X7's cabin. But we bet you're wondering right now why BMW needs the X7, when the outgoing third-generation X5 can be specified with seven seats. Well, it's because in certain markets, there are people who think the X5 is a touch cramped on the inside, and it's certainly true that the existing SUV's seven-seat layout is more of a 5+2, rather than a septet of fully-sized chairs. But it's also because the X5 has its place in the world and BMW thinks there's space above it for a more grandiose flagship. It gets a bit confusing here, because the X7 sits above the X5, rather than replacing it. The impending fourth-generation X5 will also continue to get a seven-seat option (expected to remain more of a 5+2 arrangement), despite the presence of the X7, and the X7 itself is not considered a rival to the seven-seated likes of the Audi Q7 or Volvo XC90, because they're at the X5's level. Instead, this largest and grandest of BMW SUVs is taking on the likes of the 'full fat' Range Rover (the Sport is the X5's domain) and Mercedes' ageing GLS. There's then another level again above these cars, populated with the likes of the Bentley Bentayga, Lamborghini Urus and Rolls-Royce Cullinan. It's best, then, to think of the X7 as a BMW 7 Series on stilts. And, on that note, while BMW's chiefs on the launch were understandably coy about exact details - given the X7 isn't due to launch until the early part of 2019 - it seems that the following suppositions are not out of the question: Europe will get a diesel M Performance model in the shape of an X7 M50d, packing the brutal quad-turbo 3.0-litre motor from the 750d - where it already develops 400hp and 760Nm; the US, China and the Middle East might also get a petrol version that carries an M badge in some form, although this assertion is a little sketchier right now; as X1 has X2, and X3 has X4, and X5 has X6, there's now an X8-shaped vacuum in the line-up that is most likely going to get filled at some point; all BMW's larger vehicles come ready-made for electrification, so if any four-cylinder X7 appears it's almost certainly going to be a plug-in hybrid electric vehicle (PHEV) with some sort of spin on the current top-level PHEV '40e' naming; and the launch range of the X7 kicks off with a selection of six- and eight-cylinder turbocharged diesel and petrol motors that are already in circulation in the wider BMW fleet - albeit they might have some power and torque tweaks from current levels for the company's largest SUV. The X7 is based on a stretched version of the chassis that BMW internally refers to as 'CLAR', or the 'cluster architecture.' This is used on everything the company makes bar its smaller, front-wheel-drive ranges like the 2 Series Active and Gran Tourers, or the X1 and X2 crossovers (as well as the whole MINI sub-brand), which sit on the 'front architecture' platform. The X7's underpinnings are closest in technical detail to the 7 Series, clearly reinforcing this vehicle as the SUV analogue of BMW's luxury limo, so the aim with the X7 is to make it extremely comfortable and smooth first of all, with handling taking something of a (forgive the analogy) back seat. All X7s will therefore come with twin-axle adaptive air suspension as standard, as well as an eight-speed Steptronic automatic gearbox and, obviously, all-wheel drive. The xDrive system underneath is a new evolution of BMW's four-wheel-drive technology, which aims to promote on-road cornering agility ahead of off-road tractive power - it can shuffle torque front-to-rear in mere fractions of a second, which reduces the SUV's tendency to either under- or oversteer. If you want even more handling agility, then the active anti-roll bars system already seen elsewhere in BMW's products will be an option, as will four-wheel steering, which goes under the guise of Integral Active Steering (IAS). Like all such modern-day four-wheel-steering systems, this turns the X7's rear wheels in the opposite direction to the fronts (by up to three degrees) at lower speeds, to reduce the turning circle and increase the nimbleness, and then at higher speeds the rears turn the same way as the fronts to improve stability during lane changes. The speed at which this transition occurs varies depending on which driving mode the X7 is in, as Sport mode keeps the rears going the opposite way to the fronts at higher velocities to make 'spirited' cornering more fun. Also, two-wheel steer X7s have a different calibration of their power steering system to the versions fitted with IAS. We drove all four of the roughly-outlined launch models; most time was spent X7s powered by 3.0-litre, twin-turbo petrol straight-sixes, which will likely go under the X7 xDrive30i nomenclature and have around 340hp/450Nm - we tried these with and without IAS and active anti-roll, and one of the two had an optional Sport exhaust fitted, which made for a very interesting soundtrack in Sport mode; we also drove two 4.4-litre biturbo petrol V8s (xDrive50i), one with an Off-Road Package (limited-slip differential at the back, some under-guard trays) and one without; we had a brief sojourn off-road in a single-turbo 3.0-litre diesel (the xDrive30d, with c.265hp and 620Nm); and then we got a short blast back on tarmac in the leviathan M50d (quad-turbo 3.0-litre straight-six diesel, c.400hp and 760Nm). Some of these were six-seaters, others had the full complement of seven pews. And the report card - on all types of surface, with and without IAS or active anti-roll, and regardless of the engine installed up front nor number of seats within - is glowing. BMW has judged the X7 to near-perfection already and it still has some dynamic tweaking to do before the car hits the market. Silky-smooth manners are what defines the on-road X7 driving experience, as it simply oozes along rough and pockmarked asphalt on its air springs, all while using masses of sound-deadening and acoustic glass for the front and sides of the passenger compartment to exclude engine, wind and tyre noise from the cabin; OK, there was a tiny bit of ruffling from the B-pillars on our test mules, but that was largely because of the exterior camouflage, so in terms of its 7 Series-like ability to waft along, the X7 gets a big tick already. It's also easy to place, with good visibility out and light, well-judged controls. This is the first indication you get that the X7 has the 'shrinking trick' up its sleeve. At no point does this feel like a 5.1-metre-long, 2.3-tonne SUV; all the engines, even the 30d, move its bulk along smartly and you can thread it about towns and cities without ever once involuntarily breathing in as you go for narrow gaps. Even following other X7s in convoy, they didn't look ginormous - although, as we were in the States near the factory that will make all global X7s, that might be more to do with the monstrous RAM 1500 and Ford F550 Super Duty trucks that were often rolling alongside them. So it aces the comfort card. And off-road, it's reasonably impressive too. Certainly, it will do whatever most owners will ever ask of it in real life, because the off-road route BMW provided was 'moderately difficult' rather than 'ferociously challenging' - yet X7 owners are as likely to go off-roading as they are to shop in Lidl. Actually, X7s will probably most likely be getting sand in their tyres for rough-riding duties, as Middle Eastern owners head to the sand dunes, but we doubt even then that the BMW will see the toughest of terrain. In brief, the X7 does absolutely the bare minimum of everything it needs to do off-road, and nothing more. Therefore, let us return to the X7's on-road manners. It has already showed it can enact the cruiser part of its design brief to an exceptionally high degree. But then it proves to be surprisingly nimble and enjoyable in the curves. Put it this way, the X7 easily has a Mercedes GLS covered for handling and it has clearly got the edge on the Range Rover, too - but it doesn't sacrifice any of the luxury as a result. OK, the non-active anti-roll X7s leaned a little more in corners, and you could feel the back of the SUV moving more on the variants equipped with IAS, but it doesn't matter which X7 you go for, the grip levels are immense and the balance superb. You can brake late into corners and still get the mighty SUV to turn in cleanly. You can throw it through a series of flick-flack direction changes at a decent pace and it simply swallows them up with disdain. You can even feel something of what the fat front tyres are up to (wheel sizes will run from around 19- to 22 inches in diameter, and we drove our cars almost exclusively on 21s or 22s) through the steering wheel, with more information flooding through the base of the seat. In short, it might be a massive SUV, but the X7 is unequivocally a BMW too - it has great handling for what it is, as well as a thick top layer of highly cultured manners. It's hard to see how BMW's engineers and designers will get anything spectacularly wrong in the vehicle's final development stages from this point, so expect the X7 to set the benchmark in its class when it finally arrives. We can't say as yet, as we're a long way from the point where final specifications and the exact model line-up for Ireland will be set. Safe to say, the X7 won't be cheap - it's a 7 Series/Range Rover class of vehicle packed full of BMW's most cutting-edge technology. And it also has to accommodate all the other X-model ranges that will sit beneath it in the showroom. In Ireland, we're very unlikely to get the petrol V8 (50i) or, more's the pity, the quad-turbo M50d, so we're looking at 30d and 30i variants as a kick-off. As ever with our tax laws, the 30d will be the bigger seller here, but it's unlikely any X7 will be a common sight on our roads. BMW is still finessing the X7 ahead of its 2019 arrival, but it's already obvious that Mercedes and Range Rover have plenty to worry about. BMW has struck exactly the right dynamic balance between cosseting elegance and handling brio with its biggest SUV, while it is packed with the company's excellent technology and superb drivetrains. Pricing and exterior styling will be the keys to the X7's ultimate critical success, of course, but there's little doubt that in the markets where the X7 is already in demand, BMW won't be able to build them quick enough. It's going to be a splendid machine. 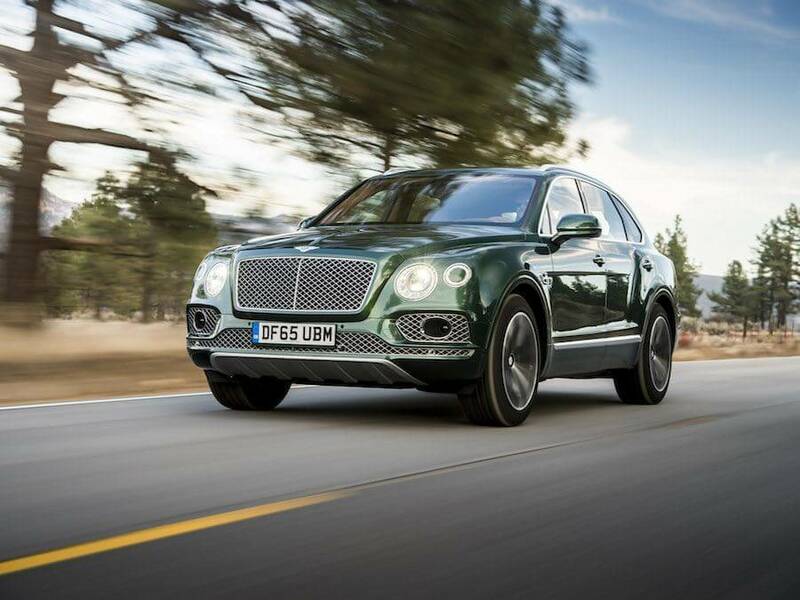 Bentley Bentayga vs. BMW X7 prototype: BMW is adamant that the X7 isn't challenging the new breed of 'hyper-luxury' SUVs, of which the Bentayga is the pioneer. Hard to ignore the BM's all-round skills over the Bentley's badge cred, though. 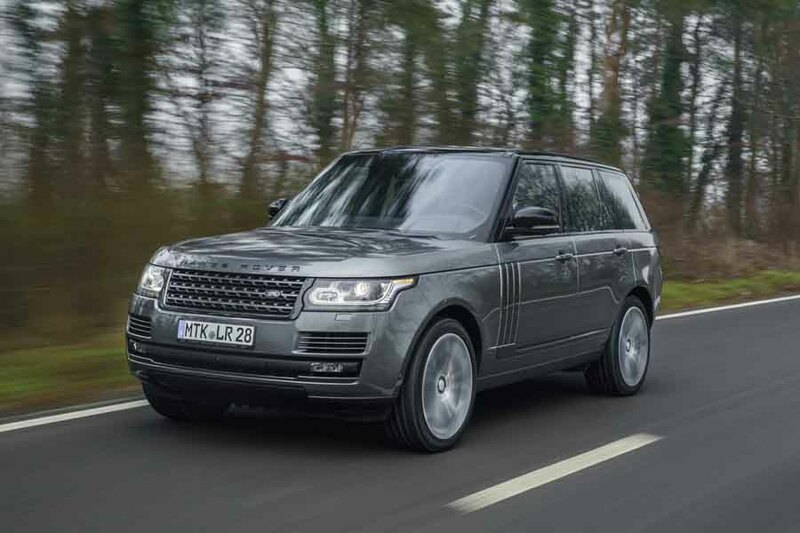 Range Rover vs. BMW X7 prototype: has long been the benchmark in the luxury SUV market and is the X7's key rival. Doesn't have a seven-seat option and doesn't drive as sharply as the BMW does, either. 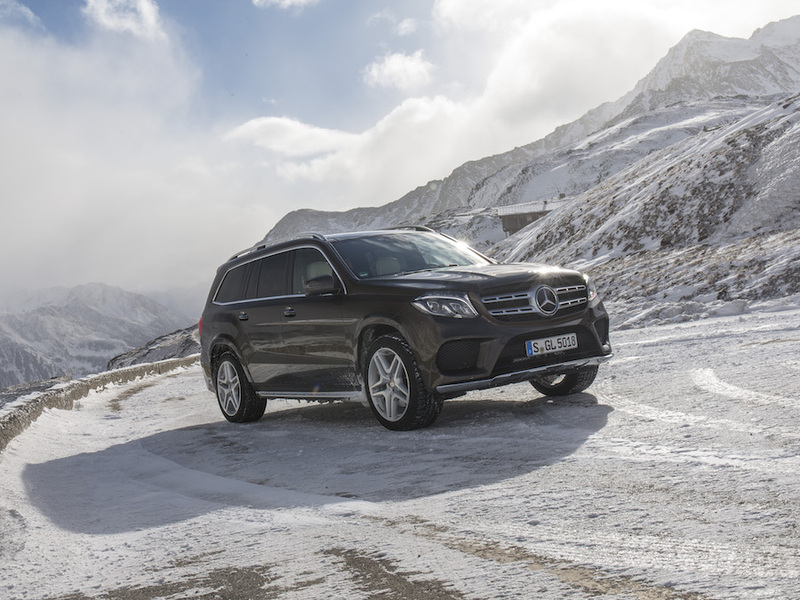 Mercedes-Benz GLS vs. BMW X7 prototype: the only other direct competitor is the geriatric GLS, which has sat on its own at the top of Mercedes' SUV range for some time. X7 feels like a generational shift from the ponderous Benz.